KATHMANDU, Oct 23: Nepali Congress President Sher Bahadur Deuba has said that he is in favor of the rule of law. 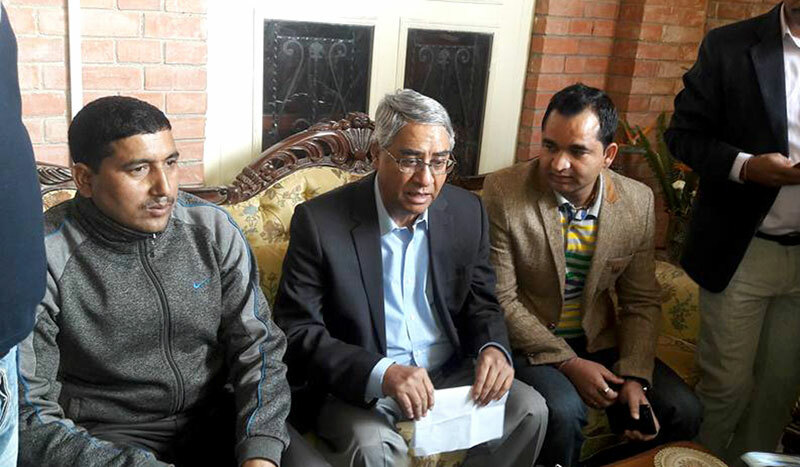 Receiving a memorandum from various student organizations at his residence at Budhanilkantha, Deuba said, “We are with you, not with Lokman. We are in favor of the rule of law. The central committee will decide the party’s official opinion”. 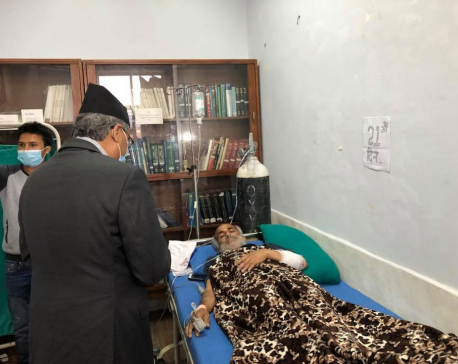 During the 15 minute-long meeting with the student leaders, Deuba said that the Nepali Congress cannot back Lokman, according to Kundan Kafle, General Secreatry of Nepal Student Union, the student wing of Nepali Congress. Kafle added that Deuba looked angry at Lokman. The student leaders had handed a similar memorandum to CPN_UML Chairman KP Sharma Oli on Saturday. Oli had told them that the parliament doesn’t have a back gear, hinting that the impeachment motion against Lokman will move forward in the House.